Designed for the scientist or engineer, Fusion QbD Product Development is quality by design software that facilitates the successful adoption of quality by design (QbD) methodologies by the non-statistician. Within the pharmaceutical sector there has been a major push by regulators (ICH, FDA, MHRA, etc.) for the adoption of quality by design. At the heart of QbD methodology is Design of Experimentation (DOE), multi-variant analysis, and mathematical modelling. This presents a challenge to the scientific community who are experts in their respective fields (e.g. synthetic, analytical or formulation chemistry), but not trained statisticians. In addition the pharmaceutical environment is very different to that of the mathematician, where GMP and 21 CRF Part11 requirements do not apply. Consequently generic statistical applications such as Design-Expert to name just one, do not conform to these standards. Fusion QbD Product Development is different. It keeps the user in their comfort zone with an intuitive user interface and automated experiment design wizard which ensures statistically valid designs are used. 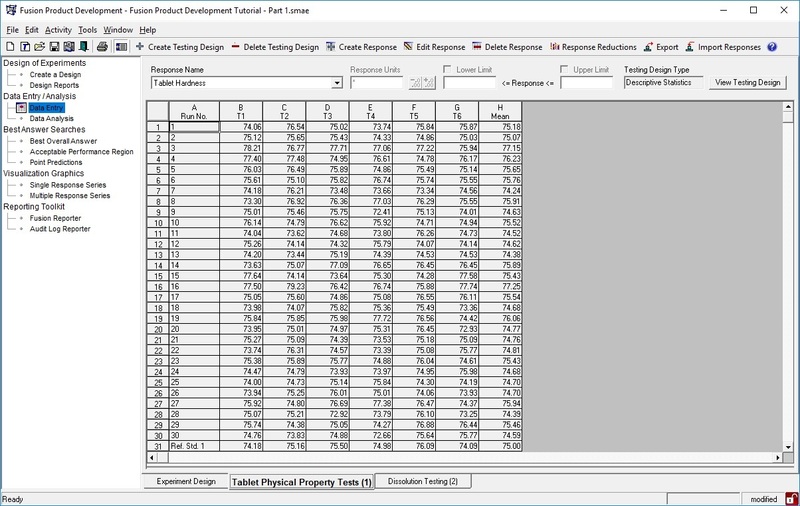 Testing templates help organise data from complex experiments such as dissolution and cascade impaction studies. This aids the validated data exchange with chromatography data systems with the automatic creation of required sequences. The raw CDS data generated can then imported back to Fusion QbD where advanced data treatment tools are available to process the raw data into modellable terms. A 21 CFR Part 11 compliance toolset completes the “must have” functionality, making Fusion QbD Product Development the ideal quality by design software for oral, parental, topical, and respiratory drug development activities. Fusion Product Development provides a simple template for the definition of the Experimental Region, that is the study parameters and their study ranges that will become the Knowledge Space. 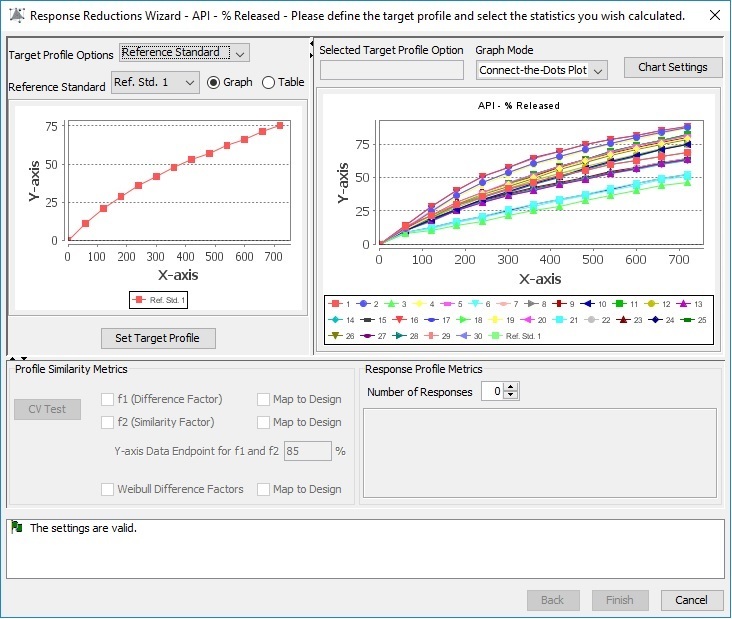 Based on the types of variables defined Fusion QbD automatically selects the most efficient design suitable for modelling the data, including the higher order models required to visualize the complex interactions effects usually responsible for a lack of Robustness. 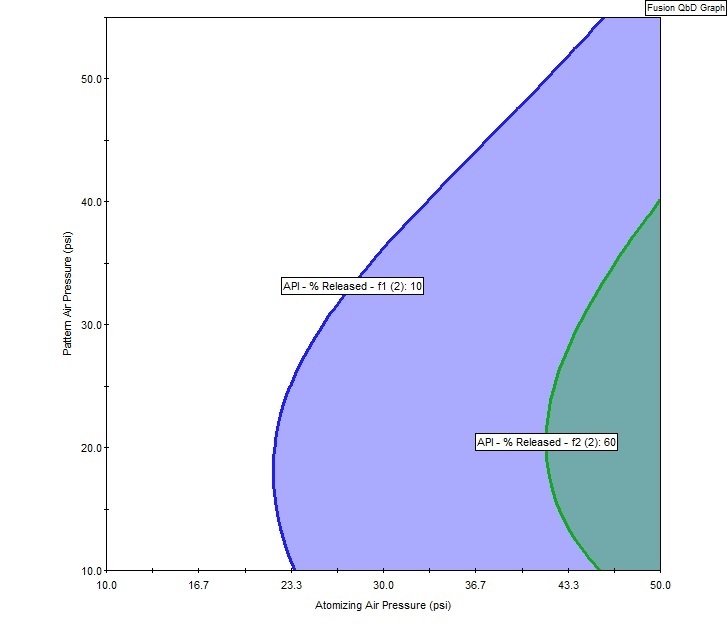 Both process and mixture variables are supported, perfect for formulation studies. Split-plot designs are also available to overcome circumstances where there may be restrictions on randomisation. Any study is likely to require data from a range of measurement systems to determine the necessary Critical Quality Attribute results. A tablet formulation study for example may require “basic” hardness testing as well as the more “complex” dissolution testing. 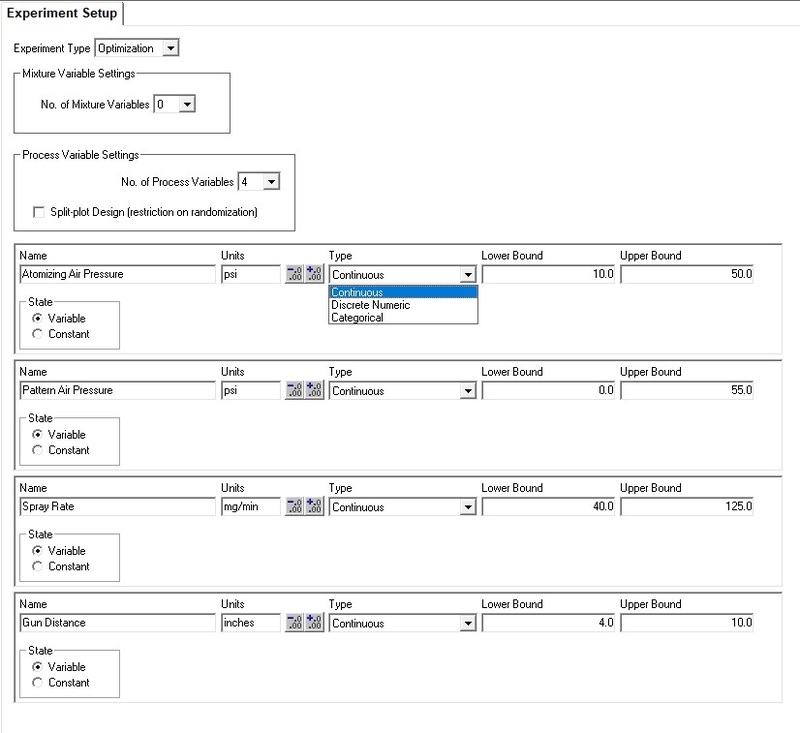 Fusion quality by design software allows for all these types of data. Time Series – Allows sampling time points to be defined. Respiratory Toolkit – Allows cascade impaction testing to be defined. Much of any products development work will involve characterization by chromatography instruments. This is particularly true for pharmaceutical products. Fusion QbD uses a fully validated, GMP compliant, file-less data exchange to integrate with your chromatography data system (CDS). This integration allows the experimental testing plans to be translated into a ready to run sequence(s). Executing the sequences and processing the resultant chromatograms remains the role of your data system. Chromatogram results are automatically imported from completed sequence(s) in a fully audited process. This ensures each data point is traceable to its source chromatogram within the data system. The “Best Answer Search” feature, allows for the study performance goals to be entered and a search of the knowledge space initiated for the conditions/formulation that meet or exceed these goals. However, no quality by design software is complete without proper consideration of Robustness. 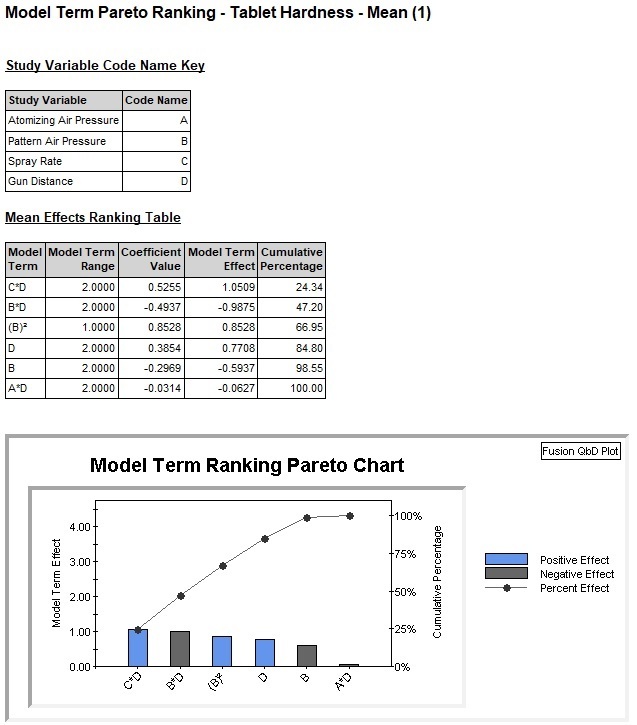 Fusion QbD includes the patented Robustness Simulator which allows the calculation of Process Capability metrics (Cp, Cpk, Cpm, and Cpkm) using Monte Carlo Simulation. 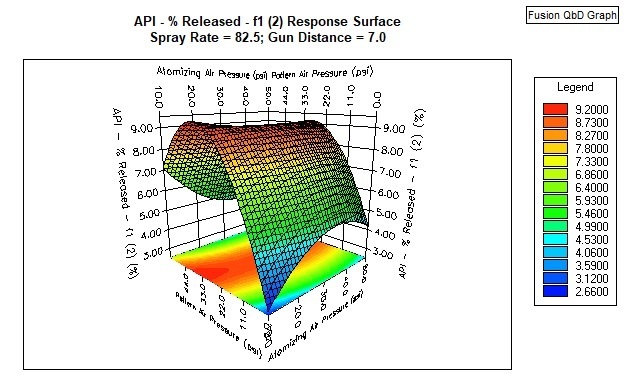 This allows for optimisation of the product or process for both mean performance and robustness goals simultaneously.